As educators, we take a lot of our efforts and successes for granted. As we raise the bar and do more, implement new ideas, and have more success, our baseline grows and we seem to embrace this as a new normal. Although this continual drive for growth and increased success is exactly what we should be doing, we often forget to be thankful for what we have and forget to show appreciation for the efforts and qualities of others who help us in schools and beyond. Teachers, admin, and school staff have very difficult jobs; these jobs can consume us with stress, fatigue, and, as a result, illness. Because of this, negative self-talk, venting, and negative conversations with colleagues can dominate the staffroom and office spaces. There can be a silent competition around who has had the most challenging day and, as Dean Shareski said a few years ago, we seem to [complain and] wear “busy” like a badge of honour. I have even heard someone say, “she/he is always so happy… must not be working hard enough.”. This stress, fatigue, negativity, and illness makes it that much more important to focus not only on student wellness, but also adult wellness in schools. For the past few years, I have focused much of my reading on the ideas from the field of Positive Psychology (Martin Seligman, Shawn Achor, Shannon Polly). Ideas that were once considered “fluff” (such as strengths-based approaches, gratitude journals, mindfulness exercises, and a focus on happiness) are now supported by more and more research that shows the importance for not only personal mental wellness but also a positive organizational culture. In the fall, I was at one of the lowest points of my career. Having a newborn (which is incredibly beautiful but lots of work) and trying to survive in a BC system that included a severe teacher shortage left me very unwell. Instead of looking for positives around me, I was resorting to using my “lizard brain” and constantly seeing threats and the negatives around me. I was unhappy as a principal and, at times, considered going back to teaching to see if I could once again find that joy in education. The odd thing was that things at a school level were going incredibly well… we had one of the most dedicated, collaborative and positive staff cultures I had ever been a part of… there was more laughter in the staff room and more willingness to take risks and try new ideas for the benefit of our students… and more examples of care toward each other that I had experienced before. Some days I saw all of this; most days, however, I was looking through “deficit-coloured glasses” and only saw the fact that I was teaching more than ever (as we were short teachers-on-call to replace teachers that were absent), I was spending more time working at night (as I had to catch up on stuff I could not get done at work nor in the evening as we had an amazing new little family member), I was engaging in very negative conversations, and external changes that were beyond my control (but affecting me) were causing more work and taking its toll on me. Something changed in late November. This year, our district has made a commitment to improving adult wellness and our school had a team of four that are attending district wellness sessions. After the November session, I came home to a powerful note from my daughters (shared in the blog post: Maybe Dad) and this was a catalyst for some serious change for me. I started to focus on MY wellness. I went back to all that I had learned through Positive Psychology: I left work earlier; I stopped worrying about the things I had no control over; I shifted my self-talk; a teacher encouraged me to use and focus more on my strengths; and I started to look around and see so many positives at our school. Over the Christmas break, I spent a ton of time with my family. At nights, I re-read some old faves and started to reflect and make more changes. For years, I have read that a gratitude journal was helpful to feeling better, having more energy, and being happier… but it just didn’t seem like it was for me. When I was reading a chapter about gratitude, the idea of a “gratitude app” popped into my head. I did some serious research (actually, I picked the free app that was the top pick in iTunes) and selected a gratitude app called “Zest”. It is a simple idea: take a few moments once a day to share what I am thankful for… and sometimes add a picture (if I had one). I did this for a week and this week happened to be the first week of 2018 at work. During this week, I noticed a shift – I had more bounce in my step, more smile on my face, and saw so many more amazing things happening at school (and in my home). It has been 30 days of this gratitude app/journal and I can honestly say I have noticed a significant difference to my happiness both at work and at home. I see great things and say to myself, “remember this moment as it is something I should be thankful for”. I am retraining my brain to see the positives (which I used to be so good at). Looking for the positives does not mean we ignore the challenges… but embracing the good things in life sure give us more energy to deal with the ‘not-so-good’ things when they happen! I have also challenged staff to show more gratitude not only to each other but also be more thankful for what we have at work and at home. We continue to start every staff meeting with WWW (What Went Well) and encourage each other to share something we are thankful for and/or proud of (we have done this for years but I was forgetting to do this myself). We continue to share a weekly newsletter, “10 Good Things to Talk About“, that includes 10 (often more) positive things that I have observed or staff have shared that we want our community to know about. I find writing this each week also helps me personally be more thankful for the awesome efforts of our staff members. 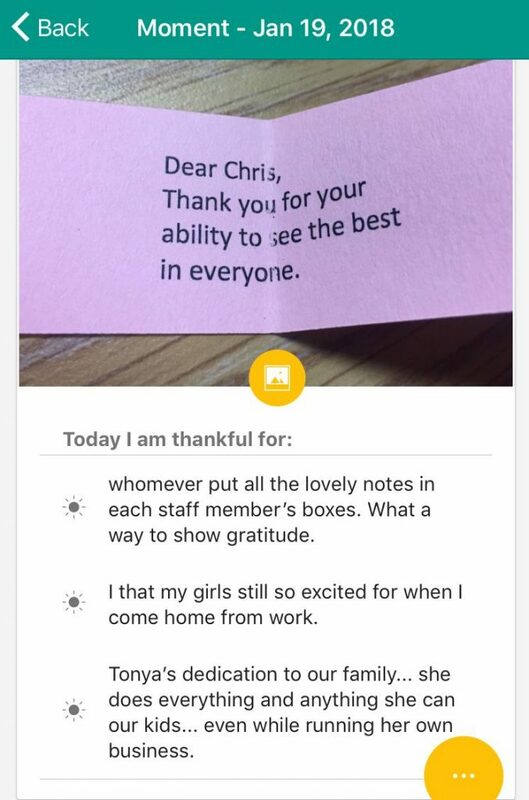 A staff member anonymously wrote a note of gratitude to EVERY staff member that acknowledged something very personal that each person brings to our school. You should have seen the smiles on people’s faces when they read these; we even had some people well up as they had never been acknowledged before like this. We have started a “gratitude wall” in the staff room for staff to acknowledge the positives they see around the school (this is in the early stages). Some staff have started their own gratitude journals/apps and even challenged their partners to do the same. A teacher used a gratitude exercise with her grade 4/5 students and surround their classroom door with things they are thankful for. A teacher did a lesson on kindness and gratitude with her grade 3 students and they then wrote personal thank you notes to classmates and staff. Our PAC co-chair has asked every student in the school to write one thing they love about our school on a heart and these hearts will line our hallways. I loved seeing older students buddy up with the kindergarten students to help them with this! Send a loved one a video thanking them for something meaningful. 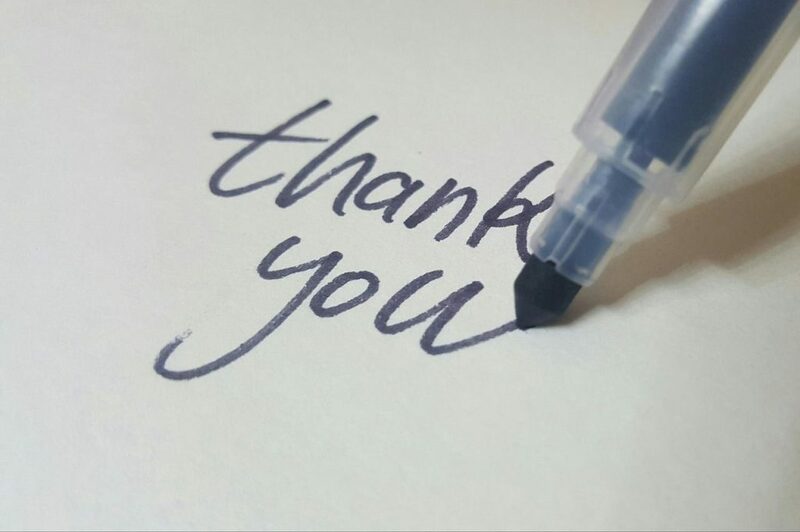 Write one thank you card/note or a gratitude email per week to a staff member/colleague. Make one positive phone call a day/week to a family at your school. Buy a coffee a week for someone and share your appreciation (getting a list of the staff coffee/tea preferences at the start of the year can be helpful throughout the year). Encourage your children and family to share a WWW at dinner or bedtime. The changes I have personally made have made me a better educator and principal. Let me be clear, though, it is not all perfect with rainbows and butterflies at school. We still have our struggles. We should have challenges as this is a part of growth and change as we try to do our best to continually improve for our students. So this shift is not about simply ignoring the struggles and challenges but, instead, using gratitude and a strengths-based lens to energize and support ourselves through the many challenges. Because of a focus on gratitude, I feel more patient, positive, and joyful at work and I have more energy when I get home. As a school, the vast majority of the positives were already there (I just needed to see them more often) but this shift to gratitude has been noticeable. It has helped build staff culture by people taking the time to acknowledge the efforts and strengths of others and has left people feeling more valued for their strengths and efforts at school. This shift does not end with the adults as it spreads throughout the school and into the hearts and minds of students and families too. Gratitude is a simple shift that can help each and every one of us; by making this shift it can help build school culture so there is more happiness and wellness in schools. Have you noticed the many positives around you? Have you shared your appreciation with a colleague lately? If yes, please share some other ideas in the comments section below. If not, start NOW. We used the video below to help create some dialogue among staff on the topic of gratitude. A huge thank you to our staff for all the amazing work they continually do and for helping to bring more gratitude to our school. Thank you, too, to our district (hat tip to Renge Bailie, Gail Markin, and Megan Zazelenchuk along with the support of Maria Lerose and Kim Schonert-Reichl) for making adult wellness a focus this year. I sat there and stared at the table setting and welled up in tears. The other 3 plates contained what was left of a family dinner and mine lay there empty. Beside each table setting, my girls had written the names of our family members. Beside my name said “Maby”. Maybe dad. It was a message that broke my heart but I needed to hear. 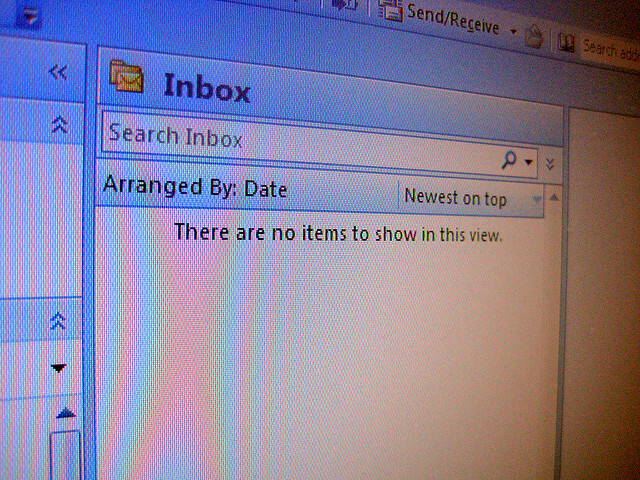 Too many dinner times I had arrived late or not at all because I was in a meeting or just trying to get that important email sent out. Too many dinner times, I had left my wife and daughters with the hope that I would be there for dinner but arrived 15, 30, or 60 minutes late. Now, we are at the point of “Maybe, Dad” for dinner. When we stop and listen to our kids, they can tell us so much… so much that comes unfiltered. So much that comes straight from their hearts. I remember Chris Kennedy sharing that Barrack Obama had made it a priority to be home for dinner and if the President of the US could do this more often than not, so could he. Whenever I start to complain about my job, Chris is always the first person to tell me, “you signed up for this, you can choose to make it work for you”. I hate it when he says this but he is right. In our job as educators, there will always be the draw to be part of that committee, to attend that workshop, to be part of that meeting, to plan that perfect lesson, or to write that important email. There are many times when we can say no. Saying no to the things we don’t necessarily want to do is easier; saying no to the things we do want to do is much more difficult. 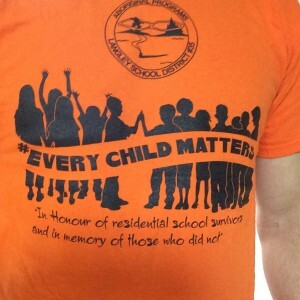 We can, however, do this and make our families a priority. We are all busy and we never have “enough time” but we can prioritize our time; if dinner time is important to me, I can make better boundaries and be sure that I am home for this more often. Yes, there are evenings when I absolutely have to be at the school or in a meeting but there are other times where it is my choice and I prioritize other things over these dinner times. This is not so much about doing way less but perhaps doing things differently. Instead of working until 6:30 and then heading home, I can head home earlier and catch up on work after the kids are in bed. I can still do my job well but shift my schedule so I do not miss out on the most important times in my life… time with my kids – these are times I will never get back and they must be a priority. Having said this, I also think that we, as a system, need to continually strive to be more understanding of the importance of family and create the conditions for more wellness and balance in the lives of people within our communities. Each person is at a different place and we need to do a better job of seeking to understand and support. It is no secret that people who are healthier and happier are more engaged and more effective at work; we need to make this health and happiness a priority in our schools and districts. As principals and formal leaders, we can have a significant impact on this but we also need to take care of ourselves. The “airplane oxygen mask” analogy works here too – if we do not take care of ourselves, we will have a harder time caring for others. There will always be a need for some late-afternoon learning sessions, volunteering as after-school coaches and club leaders, and having some fun as a staff beyond the school day but we need to be continually mindful of what we are asking of ourselves and others. If family is a priority and time with family makes people healthier, happier and more engaged at work, as a system we need to support this. My goal is to put my family in my calendar like I do for meetings and evening events. I have to set better boundaries on leaving school to make sure I am home. I have to learn to say “I can only stay until 5:30”. I can be more reflective on what needs to be done and what can wait. I can be home for dinner more often. In the past year, there have been some changes that have occurred that have helped me as a father. I am thankful that our superintendent has discouraged emails on the weekends as I find I can be at home and away from work on weekends (and to district staff who are bringing wellness to the forefront). I am thankful that my colleague George Kozlovic encouraged me to take emails off my phone so I can be at home and focus on family. I am thankful that my staff understands that I need to arrive at school a little later in the mornings so I can help my daughters get ready for school and my wife can look after our newborn son. Most importantly, I am thankful that my daughters set my name tag as “maby Dad” and sent me a message to shift my priorities and be home for dinner more often. 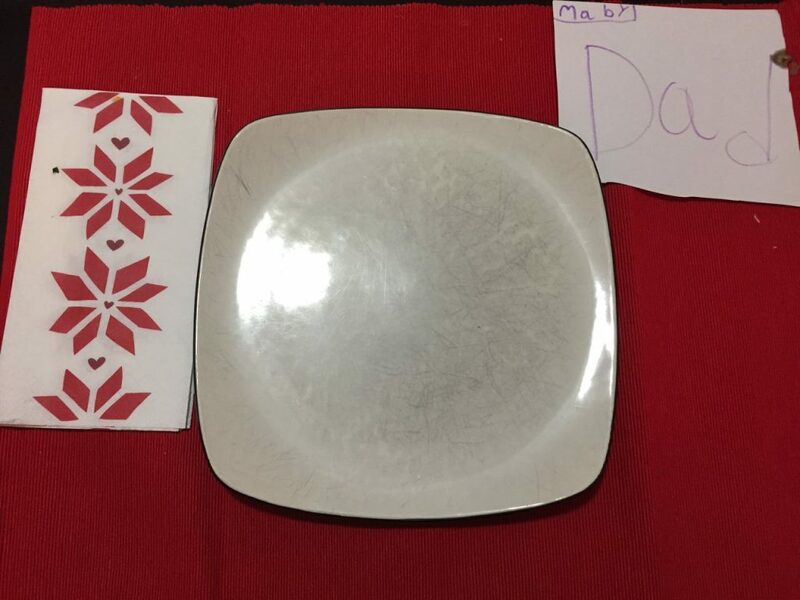 There will be more times when I get to home to help to cook, serve the food, talk about “what went well” in our days… and the table is set with my name tag saying simply “Dad”. Please feel free to share any ideas that have occurred in your school or district to help support those wanting to spend more time with family while maintaining their effectiveness as an educator. Photo from my figure skating days… with my good buddy Hogues who has been a life-long hockey teammate. There has been a chain of blog posts (or memes) going around with bloggers challenging others to share a bit about themselves, answer questions, and then ask others to do the same. I am not a big fan of homework but I see the benefit of sharing who we are and letting people in. Because I have procrastinated so long with this post, I have had a number of bloggers assign me more. I was going to ask my mom to write a note to excuse me for part of it but instead I decided to pick my favourite questions that have been asked and answer those ones (because it is my blog… and I can ;-)). As far as I know (and I may have missed someone), I have been assigned this homework by: Starleigh Grass, Kat Mulski, Amy Illingworth, Brent Catlett, Dr. Spike Cook, Glen Thielmann, Aaron Akune, Victoria Olson, Peter Jory, Bill Ferriter, and Tia Henriksen. Rather than answer all the questions, I have chosen my favourite ones. One of my heroes growing up was Sylvester Stallone. Why? Well, the movie “First Blood” was filmed in my hometown so our grade 1 class got to watch some of the filming, my grandpa got to work on the film (with his backhoe), Rambo (and his stunt double) rode down the main street of Hope on his dirtbike for a scene and he happened to ride right in front of my dad’s sporting goods store, AND I got to spend some quality time with Sly and my buddy Brian Druet as we chatted and hung out in the movie theatre for a few minutes. I used to know every line to Dumb and Dumber, Forrest Gump, Tommy Boy, Ace Ventura, and Old School. Because my future wife was a dance teacher, I did everything to impress her… including participate in a dad’s dance group (pure comedy) for a number of years. Once we were married, I even “starred” as “Daddy Warbucks” in her studio’s musical production of Annie. (There may be a video or 2 out there of my lengthy dance career… and I use the term dance very lightly). My wife and I have seen every Friends episode… two or three times. My mom helped me get my first admin job. She was a retired teacher and happened to be working as a teacher on call at the school when she heard that they were looking for a VP. I applied, went through the process… and started my career in admin! I am colour deficient. A lot of people call this being “colour blind” but I actually can see colours… I just struggle to differentiate between red/green/brown and blue/purple. My wife has to help me plan my attire so I match. Our first born’s middle name, Jovie, was named after one of the lead characters in the holiday movie “Elf”. I used to be a figure skater. Prior to starting to play hockey, I spent 2 years (ages 4-5, with a number of my buddies) learning to skate in the local figure skating club. 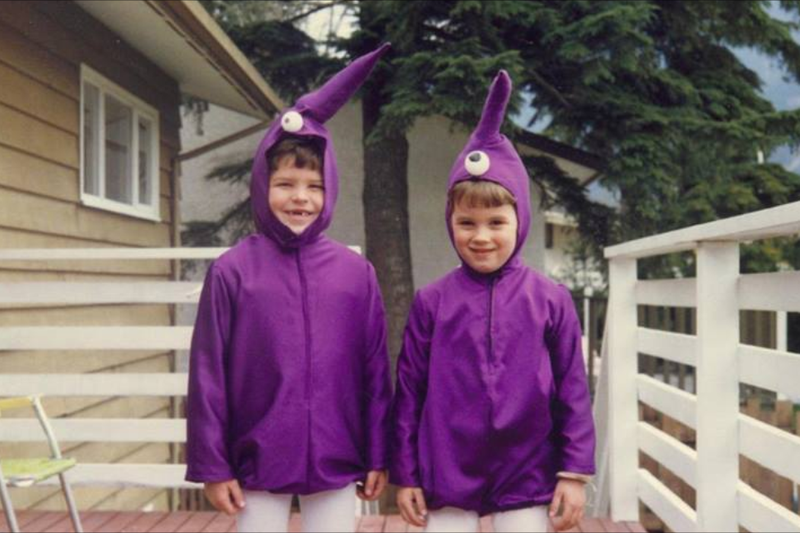 During that time, I was in the carnival as a “purple-people eater” and an “usher”. I did not like to read when I was growing up. I cannot get enough of it now. Snakes are the most feared organism on the planet… my dad agrees with me. BONUS: I was the 2-time goat milking champion at the Agassiz Fall Fair. What’s your favourite Seinfeld episode (or line)? Definitely George when he “discusses” collaboration on his “Jerk Store” comeback. What would you like people to say about you after you are gone? He helped to create the conditions to bring the best out of me. Dog or a cat or an animal person? Definitely a dog person… REAL, committed, friendship. I wish everyone was as happy to see us as our dogs. What book are you currently reading? Just started Learning In Depth by Kieran Egan; just finished “Orr” (story of Bobby Orr) and Covey’s “The Speed of Trust”. What is a major change you would make to the BC Education System? Movement away from a focus on grades (particularly up to grade 9) which will help align formative and summative assessment practices. 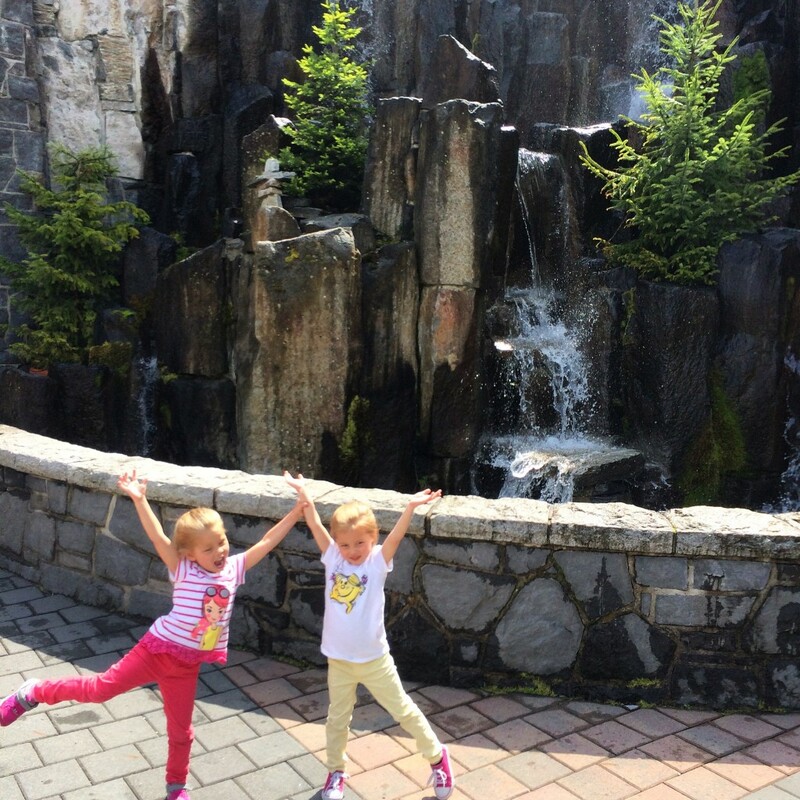 Best Place you’ve vacationed? Jamaica for our honeymoon (although my backpacking trip through Western Europe was unreal too). Who do you look up to the most? For personal advice and mentorship, I most often go to my mom, dad, sister and wife. I am so lucky to have people close to me to guide me in my life. PC or Mac? I am definitely a fan of Mac for their reliability and speed… although I am seeing the benefit of other devices in schools. How do you spend a day electronic-less? This is an interesting question and one I will participate in this summer… although I would have to drive there using a truck that uses electronics, I would LOVE to spend a day fly fishing on the Skagit River… with a break for lunch with a sandwich and a good book. I have not done this for years and it is something I need to get back to doing as there is nothing that grounds me more than being in the river. What actions do you take to combat racism? My goal is to always say or do something to take a stand. As a white male, I have experienced very little (if any) prejudice in my life; in the past 7 years (especially), I have worked to analyze and reflect upon my “invisible backpack of privilege” and attempt to see the world through the lens of others. This has helped me to become more wide awake to the racism around us and to take a stand against it. By doing and saying nothing, we state that it is acceptable; therefore, we always need to speak and stand up. How would you describe your interactions with the first peoples on whose territory you currently live and/or work on? I am a bit embarrassed to say that my relationship with the first people’s in the Langley area is very surface level. I have lived here for years but not made the effort to seek understanding and awareness of the local cultures. I am proud of the relationships that were built with the first peoples in the Agassiz region (my former place of work) as I believe that I worked hard to understand the people and truly listen and learn from the local communities. I look forward to learning more about the cultures and traditions of my local community in which I now live and work. What is the best gift you have ever received? My first response would be getting the gift of twin daughters (and their hugs, art, gifts)… but most parents would say this. I am not sure about the BEST gift but I recently I received a gift from the Aboriginal community when I left my former school that brought me to tears. The gift of a steering paddle, hand carved and painted by local artist Harvey Robinson, was given to me to symbolize leadership, wisdom, and teaching. It is a gift that I hang proudly in my new office… and one that means so much. What was the biggest AHA moment that changed you as an educator? Provide an example of an activity you do that symbolizes your family tradition or culture. Do you like the use of school-wide awards? What is your favourite line from a movie? 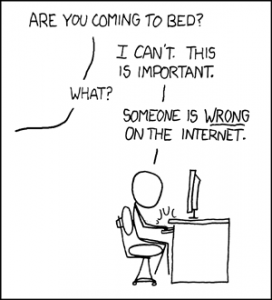 If someone has to share a concern with you, what is the best way to do it? If you could retire tomorrow (or are already retired) how would (or do) you spend your time? In your final days/minutes, when you about to take your last breath, and you think back to all that you have done or going to do… you will be most proud of ________. Which book is next on your “to read” list? Describe a moment on social media stands out to you as something that has had a significantly positive impact to you or someone else? How do you make the time to be quiet, still and alone? It is with broken hearts we make this post.. As of 5:25pm, our princess Lilee-Jean Frances Putt, our angel here on earth, is now looking down on us from heaven. She had a rough day today, and is no longer in any distress. She passed away curled up in Mommy’s arms, listening to daddy play his guitar. – Chels & Andrew. It has almost been a week since the world lost a beautiful princess. My wife and I have had many hugs and held our daughters so tightly that they asked us to stop. I have written about my relationship with LJ and her family before when they visited at our school following surgery because students at our school had fundraised for her. 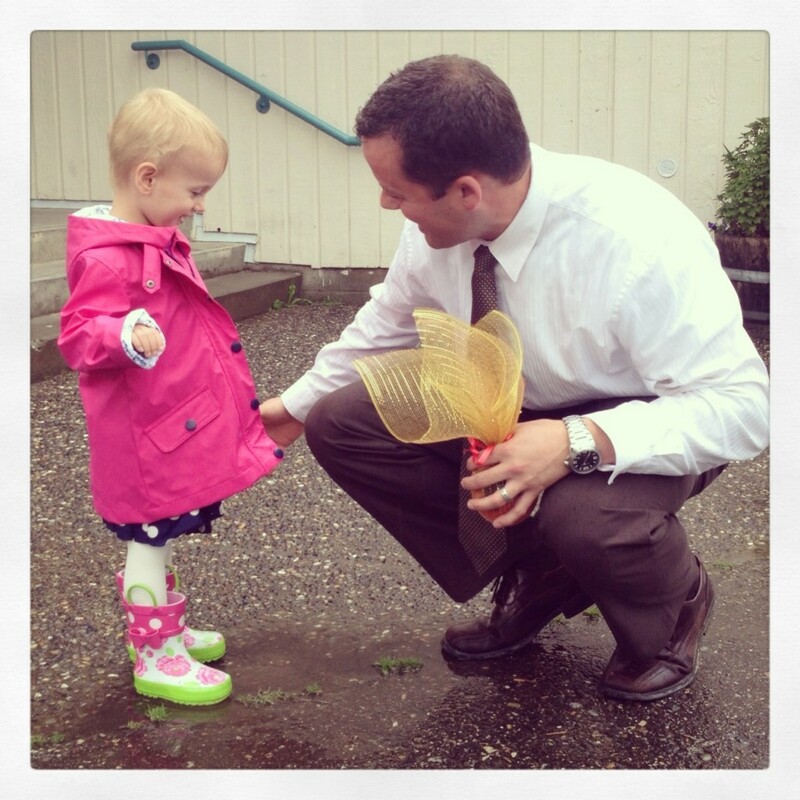 I also had the honour of being Lilee-Jean’s only principal when she attended her first day of kindergarten at our school as Chelsey and Andrew decided to embrace LJ’s last few months and Dance in the Rain. I started to reflect when someone asked me, “How do you know the family?” I wasn’t sure how to sum up how I knew Lilee-Jean and her family but I just said, “I know them because of this incredibly beautiful and heartbreaking journey.” I met LJ because of the fight; however this family captured my heart because of the way they embraced life… the way they took whatever was dealt their way – and danced. Last night, I saw a picture of Mary (LJ’s grandmother) holding Lilee-Jean shortly after she was born. It came to me that at that moment, a few days after LJ was born, we were also holding our girls for the first time. At that moment, nobody knew what the next 2 years and 9 months would bring. This is the thing that scares me so much… there is no warning for this and it could happen to any of us. 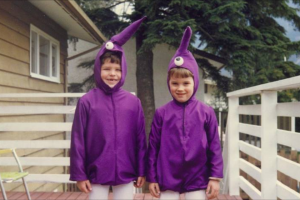 When I lost a good buddy and teammate of mine last year, I was really struggling so I called my friend Mike to ask about how he lives on after the passing of his mother at a very early age. He said, ” it is a life-long struggle… but although she is gone, I know that she lives on through me and through my kids in how we teach and how we act – we live her legacy”. 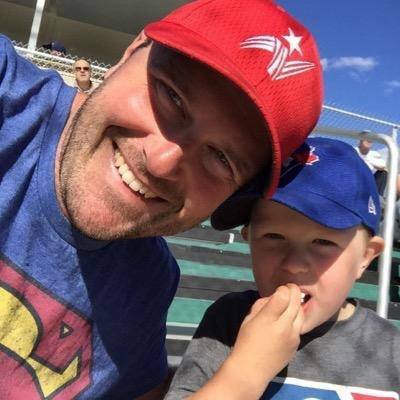 The story of Lilee-Jean and her family has been followed by thousands and thousands of people in the Fraser Valley and Worldwide through social media, radio, TV, and print. The family has somehow found the strength to recently reach out and thank individuals for little things we did along the way. As I was reflecting on the image of Mary with Lilee-Jean, I thought about what WE, those who have been touched by this family, can do to carry on Love For Lilee… I reflected on how we can continue to better our lives, carry this beautiful angel with us… and live the legacy of Lilee-Jean. I want the family to know the impact they have had on me. I want them to know how they have made me a better person. I want them to know that I am a better parent and educator and how the message of Love For Lilee will be carried on in homes and schools for years to come. Be vulnerable and share who we are. Chelsey and Andrew let so many of us into their lives. As difficult as this must have been at times, they shared their love for Lilee which led to so many others #LoveForLilee. Connect. 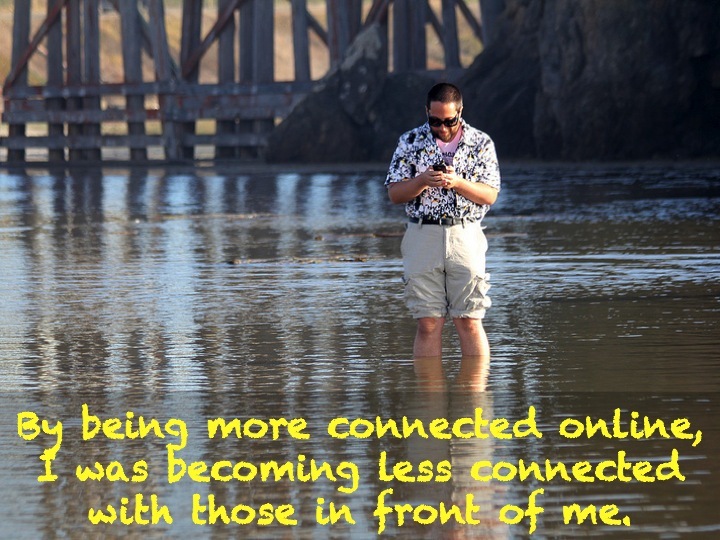 Brene Brown wrote, ““Connection is why we are here. 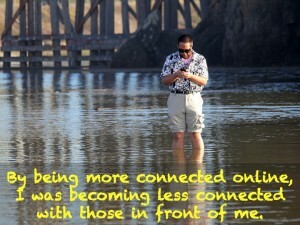 We are hardwired to connect with others”. We often get busy in our lives and isolate ourselves in our work and in our homes. It is important to connect with others – especially within our own communities and neighbourhoods. Cherish the moments. I will always remember the photos and stories of Andrew making lunches and having tea parties… of Chelsey snuggling with LJ in her bed… of walks on the beach with family in Harrison… of the moments that were taken to feel and listen to life – the sound of a child’s breathing and the feeling of her beating heart. When they cherished these moments… it made me do the same. Show empathy. Love for Lilee shows how empathetic many of us can be… and this models and teachers this virtue to our kids. Serve others. We often get wrapped up in trying to become happy by serving ourselves when true happiness comes from serving others. 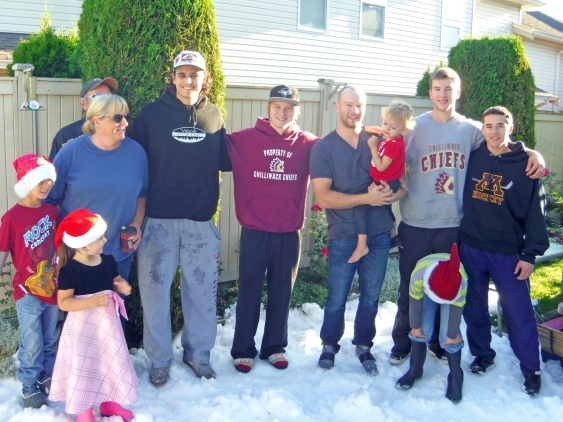 Love For Lilee brought so many examples of people reaching out as a community – the story of how the Chilliwack Chiefs Junior Hockey team delivered snow for LJ’s Christmas morning in August still brings tears to my eyes. Donate to a great cause. Volunteer to help others. hearing about and supporting so many pageants, parties and fundraisers so the family could be with Lilee every day…. seeing the picture of Chelsey’s road lined with pink balloons as she arrived home a few days ago. 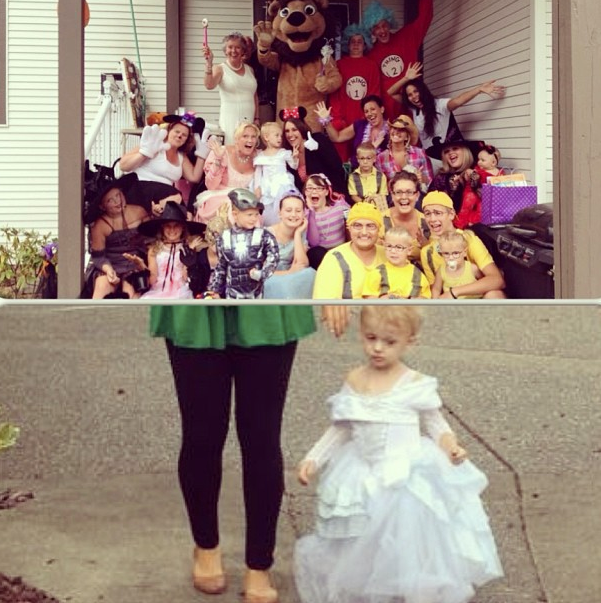 Just a few of the endless stories of how this beautiful little girl brought out the best in her community. Embrace the day. 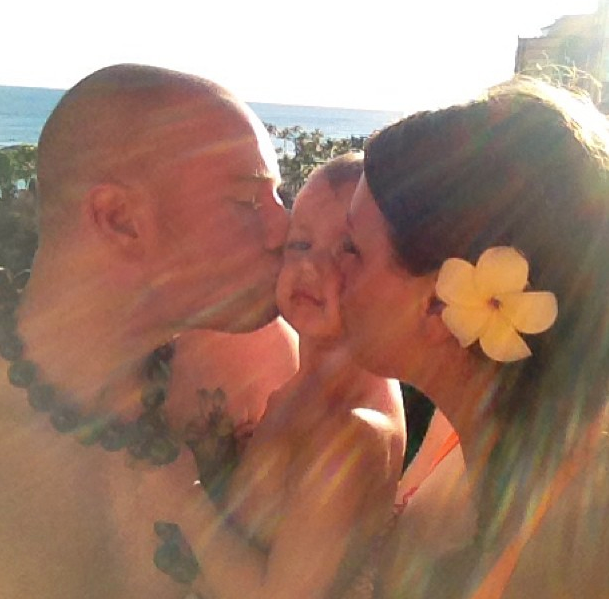 It was so inspiring to see a family embrace every minute of every day… we can all learn from this. 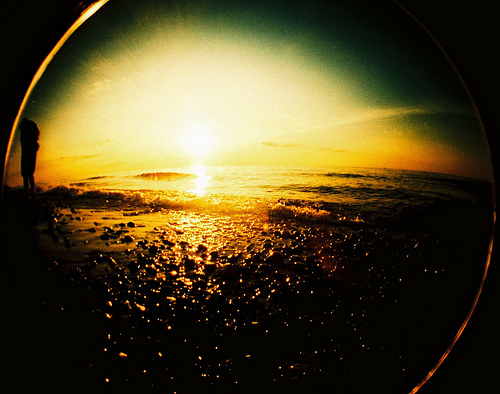 There will never be another day like today – what shall we do today? Hold on to your kids. DANCE IN THE RAIN. “Life is not about waiting for the storm to pass… it is about learning to dance in the rain.” This saying is now up on my wall and will guide me in so much of what I do. Thank you so much to the Whittle and Putt families for inviting my family into theirs. I will always have a part of LJ in my heart and I promise continue to live the legacy that is Lilee-Jean Frances Putt. A family that changed me forever. To learn more about Lilee-Jean and how to continue to support the family, please go to the Love For Lilee website or Facebook Page.